Screen Recording is a very handy tool to have. You can use it to create presentations, help sessions, and more. I've used them to create review sessions for students, as well as presentation videos and even live, remote presentations. Screencast-o-Matic is an online, easy-to-use, screen recorder that works in your browser with no download required. It works for Windows, Mac, and Linux. The free version gets you 15 min record time, upload to YouTube, and export to a variety of video formats. While the 15 min time limit may seem an issue, I've found for most things that is long enough. You can also purchase a Pro version for $9 / year that increases your record time to 60 min. To use it, you simply click "start recording". It then loads a Java app and you can record your screen. 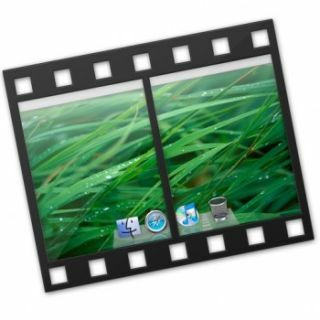 Screenr is a free, web-based screen recorder that let's you easily make a screen cast recording of what you are doing on your computer. This is a great way to create tutorials, lessons, and more. It is completely web based so there is no software to download (it runs using Java). You can create your own account or sign in with your Twitter, Facebook, Google or Yahoo account. You simply click the record button, it then loads the recorder. Hit record and it gives you a countdown "3-2-1-Go!" and then starts recording. You can make recordings of up to 5 min long. The recordings can be embedded in blogs and sites too. Pastevid is now Screenbird, a easy, free screen recording service that lets you quickly record your screen and share it with others. The free version does not even require a sign in. You can sign in with Google, Facebook or a Screenbird account if you want. You can capture your entire screen or just part of it and it includes voice recording. It is available for Windows, Mac and Linux. Just go to the site and click "record now" or sign in. The Basic (free version) includes YouTube integration, instant download, short links, and the ability to play on any device. There is a 30 min video, 150 min account limit and videos expire after 6 months. If you find that you really need more features, you can upgrade to premium for $10/month or $60/year. ActivePresenter is a screencasting software that allows you to capture and publish what you did on your computer (similar to Camtasia). The free version has some great features and export formats. It allows you to record your whole desktop, a specific window or a preset size window. You can edit your recording afterwards using a timeline on the bottom of the screen to see ahead and behind the current view. You can insert things like annotations, voice overs, mouse clicks other videos and screenshots. You can then export your project in different formats, including images, Video (AVI, WMV, MPEG4 and WebM) or Flash Video (FLV), PDF, Word, Excel, PowerPoint and a few other formats. Present.me is a service that allows you to easily record your presentation with video and audio linked to the PowerPoint presentation. You upload your PowerPoint slides, and then present.me converts them to a web based file. Then, you go to the site, click record and present in front of your web cam, clicking your slides just like you normally would. Now you have a single file that has your slides, you, and your voice all linked. You can then share it with others, embed it, or just keep it for yourself. This is great for recording review sessions or lectures or meetings, etc and then having them available for future review and viewing. It's easy to use and very useful.